This is the first in a series of success stories and interviews with current art library professionals. If you would like to share your story, please contact the discussion team. Tatum Preston has been a solo librarian at the Birmingham Museum of Art in Birmingham, Alabama for 10 years. Prior to working as a librarian, she worked in both corporate and non-profit arenas as an Americorps volunteer, an accounts-payable auditor, and a development associate. 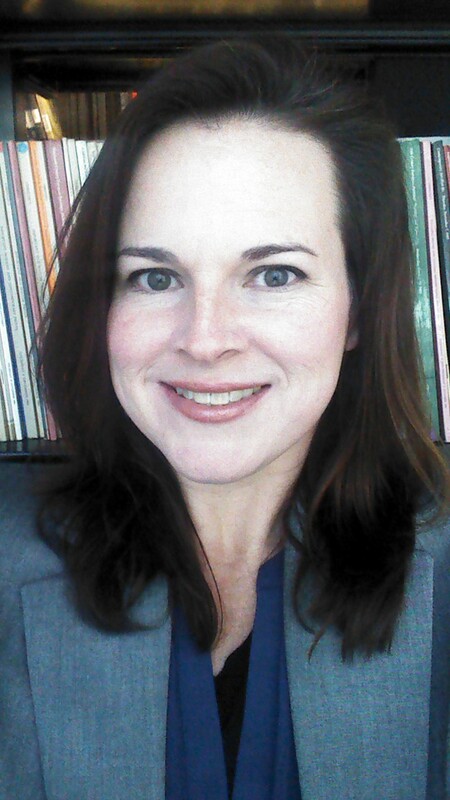 Tatum holds a BA in English from Davidson College and an MLIS from the University of Alabama, where she has taught a course on Art Librarianship. She is the author of “Recruiting and Retaining Volunteers of All Ages” in the book How to Thrive as a Solo Librarian (Scarecrow Press, 2011). You can learn more about her by visiting her LinkedIn profile. What attracted you to the field of librarianship? I sort of fell into this field, honestly. With an undergraduate degree in English, I knew I’d eventually go back to school for my master’s degree. I was looking at degrees in English when a friend sent me an article about library school. My initial response was, “No way! That sounds so nerdy and boring.” I had many of the stereotypical misconceptions about librarians. As I started to research the degree more, I realized that it really melded my love of reading and learning, my desire to be in a service-oriented profession, and my interest in technology. When I finished graduate school, I took a job at the Museum working in the Development department. This job was not in my new field, and had a pretty low salary – but I took it because I knew there was a library here, and the hiring manager assured me that if I did a good job, she would be my biggest advocate in getting promoted to a position in the library if one became available. About a year and a half later, my current position opened and she proved true to her word. In light of this story, my advice is to take a chance – apply to a job that may not be exactly what you want, or that may not be a “library” job. I know that the job market is really tough right now. Creativity in your search helps I think. One thing I really like is that there is no “typical” day. Just this week, I have already been at a donor’s home to help pack up a donation, cataloged books, located something via ILL, supervised an intern, helped a staff member learn to navigate our image database, gone to some meetings…and it’s only Tuesday! I like the pace and the variety. Digital publishing – the art world is finally catching up in this arena and I think there are a lot of cool possibilities for presenting our information. Of course this also presents challenges in terms of cataloging and access. Digitization in general – having your collection digitized used to be a frill, now it is an expectation from your user. People expect that they can find your entire collection online. A lot of people don’t understand the amount of work and money that go into digitization projects. Also, shrinking budgets coupled with increasing demand for services. Librarians must continue to be creative in how they provide both access and service. Remember that librarians are a collegial and helpful bunch by nature. Don’t be afraid to reach out to others working in the field for help or information. Read voraciously (good advice for anyone, I think !) and keep up with the issues facing the field. Contribute to the field through professional organizations – sign up for a committee, volunteer to help with a conference or event, offer to be a peer reviewer. Don’t let your lack of experience hinder or discourage you. The field needs new voices, and you will learn things you didn’t learn in library school! I know you have a lot of experience working with graduate students and you teach an art libraries class. Do you have any recommended reading, other than the basic textbooks used for art library courses? I keep up with the field through a lot of online sources. I read ArtsJournal’s daily email. I love Nina Simon’s blog, Museum 2.0. On Twitter, I follow the Google Art Project, visual culture entities, and museums whose exhibitions, programs, and libraries I admire. I also follow stuff about food, music, fashion, beer, literature, current events and issues – other things I like that are not related directly to art librarianship. I highly suggest reading outside of the strict parameters of the field. Follow your interests and see how and where they tie into the field of art librarianship. That’s like asking someone to choose her favorite child! My interests are kind of all over the place – I like everything from Asian to contemporary to folk art. Which is one of the things that makes me a good librarian. If any of your readers have further questions, please don’t hesitate to contact me!